The world feels messy. Politically unstable. A growing sense of slowly mounting chaos and fear over the unknown. One of the UK’s worst hit areas, is the education system. The National Audit Office has tasked mainstream schools with making £3 billion in savings by 2019 - that’s around £800 per pupil. And teachers are leaving in droves. Nearly a quarter of the teachers who qualified since 2011 have already quit the job. Inevitably, money for creativity and the arts within the curriculum has been fiercely reduced, in some areas to non-existence. So our schools are facing a scarcity of teachers—or none who have any real energy left after meeting growing demands—and art cupboards with just one ream of A4 paper for 900 students, I’ve seen it with my own eyes in a Hackney school. So what happens to a generation of young people, particularly the 4.1 million who are classed as underprivileged, with limited opportunities at home, who now have fewer at school? Because we know creativity has a direct correlation to the way we feel and how we express emotion, there will be a rise in adolescents with behavioral issues, leading to a less mentally-well adult generation. Poor mental health is already on the rise, with 1 in 4 people experiencing a problem each year. I used this research as a catalyst to develop Forever Curious with Wieden+Kennedy London. 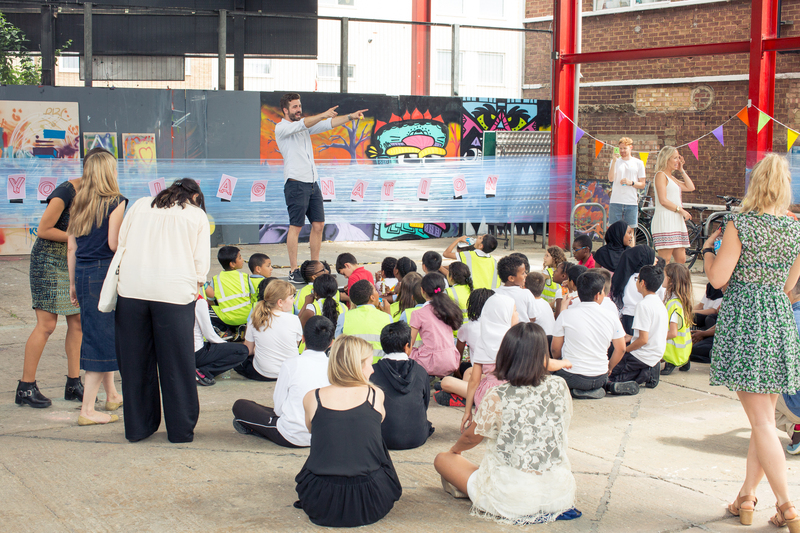 The creative platform is designed to foster creativity in 9-11 year olds from local east London primary schools. Forever Curious is a three year program which develops confidence, celebrates creativity and promotes human connection. It marries schools and the creative industry in an authentic and meaningful way. In the past five years, I’ve teamed up with Account Director James McHoull to work with 500 kids and 400 W+K employees, specifically targeting young people from lower income families and those with less opportunities. We’ve recently launched the programme in Portland. It’s a critical time for the education system, so it’s imperative that external expertise, energy, resource and industry talent are used to support, develop and inspire the next generation. The creative industries need to use the resources they have in a tangible way to increase the confidence in and awareness of the sector and drive aspiration for the next generation. If this stuff doesn't happen on a wider basis our children and their children are heading into a pretty dark time creatively. Get your company to light a light which can be seen and felt. Jodie Cariss (MA, HPC, Badth) is a therapist and founder of CarissCreative and Self Space.